The rich and smart investors become richer as they see opportunities in Brexit. Do you? Why are so many people purchasing UK hotels as Investment Property? The global super-rich have taken advantage of the Brexit-induced decline in the value of sterling to buy up three times as many £10m-plus luxury homes as before the referendum vote. Some 300 homes sold for more than £10m each in the tax year to April 2017 (the latest for which figures are available), an increase from the 100 sold during the preceding 12 months. The figures, released by HM Revenue and Customs on Wednesday following a freedom of information request, were rounded to the nearest 10 by HMRC. 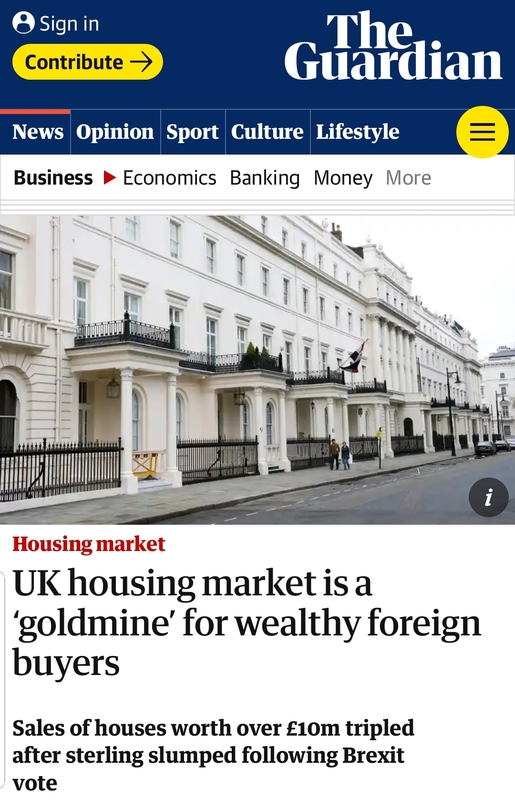 Jonathan Samuels, the chief executive of property lender Octane Capital, said the 13% drop in the value of the pound compared with the dollar since the June 2016 referendum had turned the UK into “a goldmine for foreign investors seeking a bargain”.